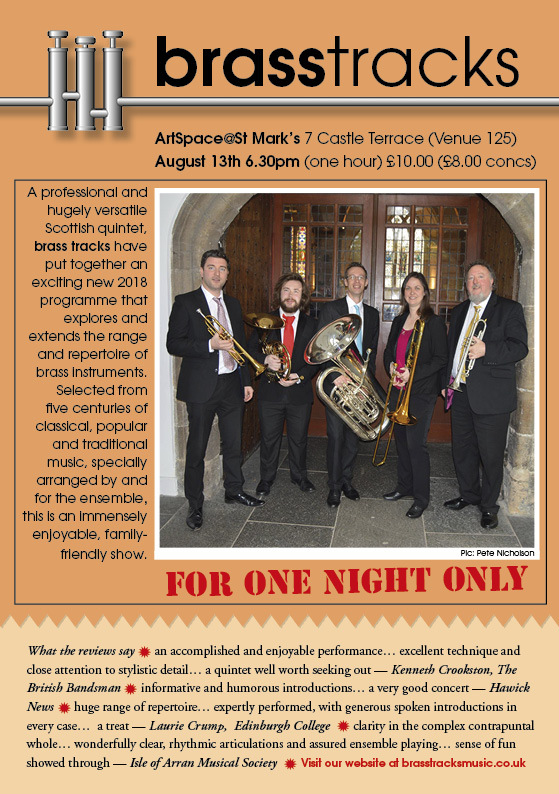 Brass Tracks looks forward to returning to 2018 Edinburgh Festival Fringe. A family friendly programme will feature original and arranged music by Byrd to Bernstein. Tickets can be purchased either on the door or from the following link.